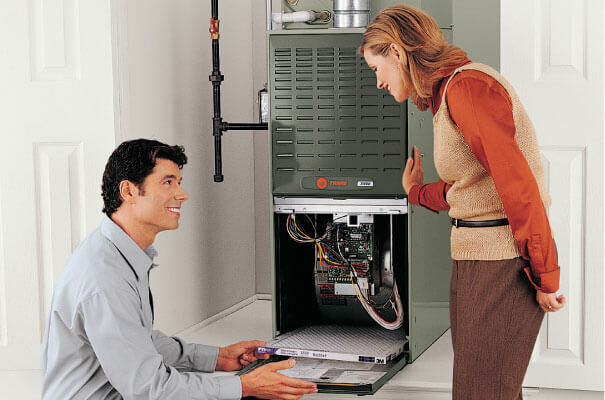 Getting your furnace cleaned and maintained every fall is an important part of keeping it running at its best. There are some maintenance tasks you can do yourself, like changing the air filter on a regular basis. But for annual cleaning and maintenance, it’s best to let the professionals at Calgary heating companies handle the job. They have the expertise and tools required to thoroughly clean and inspect your unit to get it ready for the cold. Scheduling a furnace maintenance and cleaning in the fall means your system is less likely to break down during the winter, leaving you without heat when you need it most. It also helps your furnace run more efficiently. Wear, tear, and grim put strain on a furnace, resulting in higher energy bills as the unit struggles to meet the demands of keeping your home warm and comfortable. A clean furnace runs much more smoothly, reliably, and efficiently. Annual cleaning and inspections by Calgary heating companies help your furnace last as long as possible. Keeping the unit clean and in good repair reduces wear and tear that can make the furnace stop working sooner than it should. Catching problems early during an annual furnace cleaning and maintenance check also gives you the opportunity to seek repairs promptly while they are small, which means big savings for you. Prepare for the coming months with furnace cleaning Calgary. An annual cleaning and maintenance visit helps your furnace function at its best so you and your family stay warm and cozy all winter long. Connect to landing page. Make sure you don’t go cold this winter by calling Horizon Heating for all your furnace maintenance and cleaning services. Horizon Heating Ltd. has been providing quality and affordable heating, air conditioning, and indoor air quality solutions to Albertans since 1988. If you have any questions or comments about installations or repairs for your furnace, duct, AC system or indoor air quality solutions, we are here to help.